Vacated due to Suwama rupturing his achilles tendon. Defeated Jun Akiyama in a decision match to win the vacant championship. Due to Akebono being sidelined with health issues. Won the championship on the Anniversary Tour. Won the championship at 2013 Pro Wrestling Love in Ryogoku: Basic & Dynamic. Won the championship on the Summer Impact 2012 tour. Won the championship at Pro Wrestling Love in Ryogoku Vol. 13. Won the championship at Pro Wrestling Love in Ryogoku Vol. 10. Won the championship on the Growin' Up tour. Won the championship at Pro Wrestling Love in Ryogoku Vol. 9. Won the championship on the Flashing tour. Won the championship at Pro Wrestling Love in Ryogoku Vol. 7. Won the championship at Pro Wrestling Love in Ryogoku Vol. 3. Won the championship on the Summer Impact tour. Won the championship on the Cross Over tour. Won the championship at Realise. Defeated Shinjiro Otani in a tournament final on the Summer Action Series II tour. 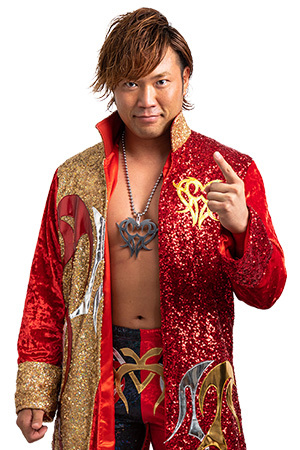 Vacated on August 13, 2003 due to Hashimoto dislocating his right shoulder. Won the championship on the Excite Series tour. Won the championship at Royal Road 30 Giant Battle Final. Defeated Keiji Muto at Grand Champion Carnival. Vacated on March 28, 2002 due to Kawada suffering a knee injury. Won the championship on the Super Power Series tour. Defeated Toshiaki Kawada in a tournament final on the October Giant Series tour. Vacated on June 16, 2000 when Kobashi and several others leave AJPW to form Pro Wrestling Noah. Won the championship on the October Giant Series tour. Won the championship at Giant Baba Retirement Show. Defeated Akira Taue on the Excite Series tour. Vacated on January 29, 1999 due to Kawada fracturing his right ulna in winning the championship. Won the championship on the New Year Giant Series tour. Vacated on July 27, 1990 due to Gordy having a sudden illness. Tsuruta, the NWA International Heavyweight Champion, defeated Stan Hansen, the PWF Heavyweight and NWA United National Champion, to unify the championships.